Alabama Attorney General Steve Marshall said Thursday that his office is exploring whether disinformation tactics deployed against Republican Roy Moore during last year's special election violated state campaign laws and said he was worried that the operation could have affected the closely fought Senate race. "The information is concerning," Marshall, a Republican, said in a phone interview. "The impact it had on the election is something that's significant for us to explore, and we'll go from there." 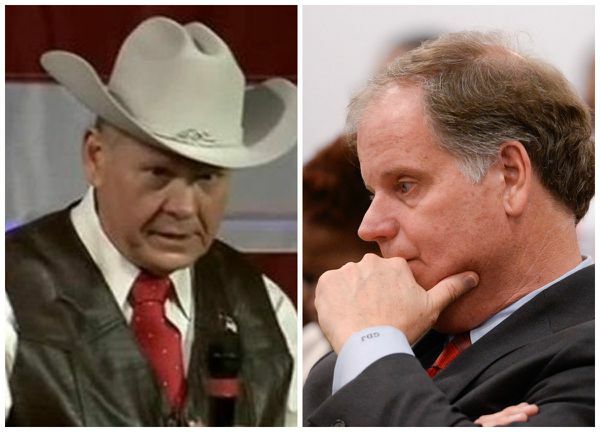 Moore lost the election to his Democratic rival, Sen. Doug Jones. "We're planning to explore the issue further," Marshall said. Internet billionaire Reid Hoffman apologized on Wednesday for giving $750,000 to a group, American Engagement Technologies, that allegedly had ties to an effort to undermine support for Moore and bolster Jones. The new senator has called for a federal investigation into Project Birmingham. Hoffman said in his statement Wednesday that he did not know that the money had been used for disinformation tactics, including a reported effort to create fake evidence that automated Russian accounts, called bots, were supporting Moore in the race. Jonathon Morgan, chief executive of Texas-based research firm New Knowledge, has acknowledged being paid by American Engagement Technologies to experiment on a small scale with disinformation tactics, including creating a Facebook page that sought to appeal to Republicans who might not support Moore. Morgan has repeatedly denied that he attempted to affect the outcome of the election or that he had any role in the broader efforts of Project Birmingham. Morgan did not immediately respond to a request for comment on Marshall's actions in Alabama. A spokesman for Hoffman did not immediately respond to a request for comment. Hoffman previously said it would be a "good idea" for investigators to probe what happened in Alabama. "We cannot permit dishonest campaign tactics to go unchecked in our democracy - no matter which side they purportedly help," Hoffman said in his apology. Dmitri Mehlhorn, a political advisor for Hoffman, declined to comment. Moore, contacted through his former spokeswoman, did not immediately respond. A spokeswoman for Jones did not immediately respond to requests, either. Marshall said in the interview that the rapidly changing nature of campaigning on social media has made it difficult for authorities to know how to address disinformation tactics in elections. “Technology has put us in a difficult position in many respects in terms of the applicability of our current laws,” Marshall said.